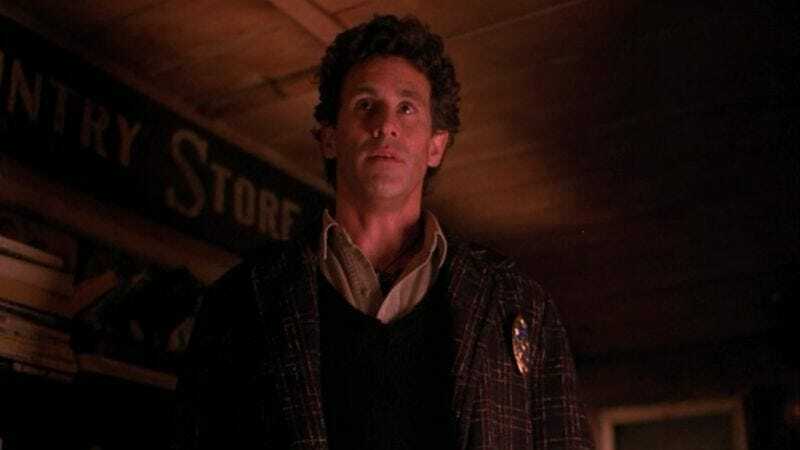 According to TV Line, Michael Ontkean won’t be returning to Twin Peaks when the show comes back for a revival run on Showtime in 2017, with someone close to the actor simply explaining that he has “fully retired from show business.” Ontkean played Sheriff Harry S. Truman on the original show, where he was one of its most beloved characters thanks to his friendly nature and basic nobility. He was also sort of the John Watson/Dana Scully figure to Kyle MacLachlan’s eccentric Agent Dale Cooper, so he was a central part of the show’s main murder-mystery plot. This absence will obviously leave a hole in the leadership of Twin Peaks’ police department, and TV Line says that David Lynch may be planning to hire Robert Forster (Jackie Brown, Mulholland Drive) to replace Ontkean as the town’s sheriff. Supposedly, Forster was considered for the role of Sheriff Truman the first time around, so TV Line theorizes that he might actually be playing the same character—even though that doesn’t make as much sense as the town simply electing a new sheriff. If Forster does move to Twin Peaks, he’ll be joining fellow newcomers Peter Sarsgaard, Amanda Seyfried, and Robert Knepper. Interestingly, this information suggests that Michael Horse—who played Deputy Hawk, the guy Horse claims is “most people’s favorite” character—isn’t necessarily the most trustworthy source when it comes to Twin Peaks news. Almost a year ago, he claimed that Ontkean was definitely on board with the new show, even though Horse himself hadn’t (and still hasn’t, as far as we know) been officially offered a chance to return.